Australia’s largest gold producer, Newcrest Mining Ltd., will invest $250 million for a stake in Lundin Gold Inc. to boost its presence in Ecuador, which is attracting a slate of mining giants hunting for major untapped metals deposits. 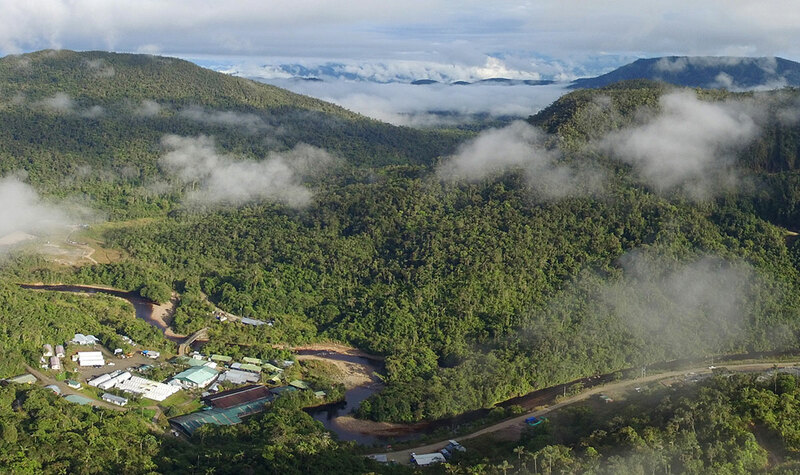 Newcrest will take 27.1 percent of Vancouver-based Lundin Gold, which expects to bring the Fruta del Norte gold and silver mine in southeastern Ecuador into production by the end of next year. The companies will explore eight other concessions to the north and south of the project under the deal, and Newcrest can earn up to a 50 percent interest in that joint venture by spending $20 million over five years, the Melbourne-based producer said in a statement Monday. The world’s biggest miner BHP Billiton Ltd. and billionaire Gina Rinehart’s Hancock Prospecting Pty are among firms that have raced into Ecuador seeking major copper and gold deposits. Latin America saw the largest rise in exploration spending in 2017, according to S&P Global Market Intelligence. Newcrest, which holds a 14.5 percent stake in Ecuador-focused explorer SolGold Plc and has embarked on a global exploration campaign, said last week it’s seeking to add exposure to two more tier-one gold deposits, in addition to its Golpu development project and its Cadia and Lihir mines. The Fruta del Norte mine “would fit within the realms of this criteria,” Melbourne-based RBC Capital Markets analyst Paul Hissey said in a note. Under Lundin Gold’s plan to sell new shares, Orion Mine Finance Group will take 11.4 percent while Lundin Family Trusts will own 22.3 percent, the Canadian company said in a separate statement. Newcrest has agreed to restrictions for eight years on lifting its stake in Lundin Gold beyond 32 percent. Newcrest fell 1.1 percent to A$21.885 at 2:26 p.m. in Sydney. Its shares are down 4.1 percent so far this year, after capping a fourth annual gain in 2017.